♥Love Love Love♥ this beautiful Kingman Turquoise Bead Strand! This strand is from my personal collection. 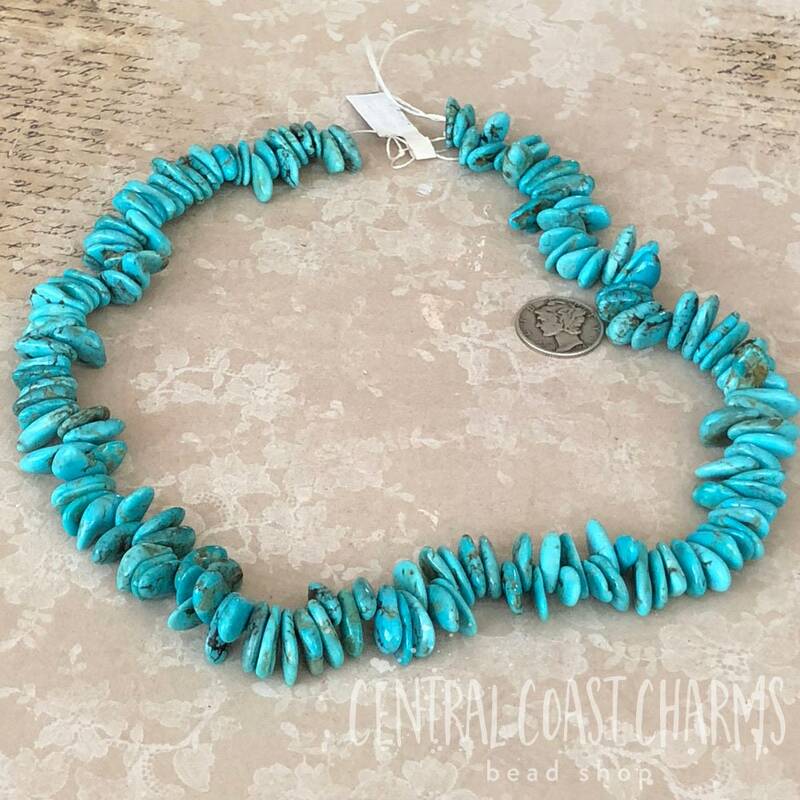 It is authentic natural North American Turquoise from Kingman Arizona. The sizes vary but the largest beads are approx. 12mm x 3mm. (please see photos) You will receive this exact strand. 148 beads in total.